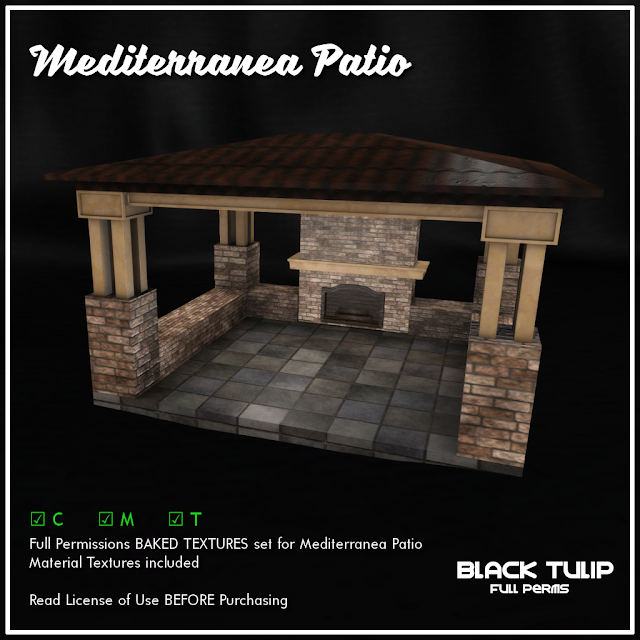 The weekend is here and we have some news. 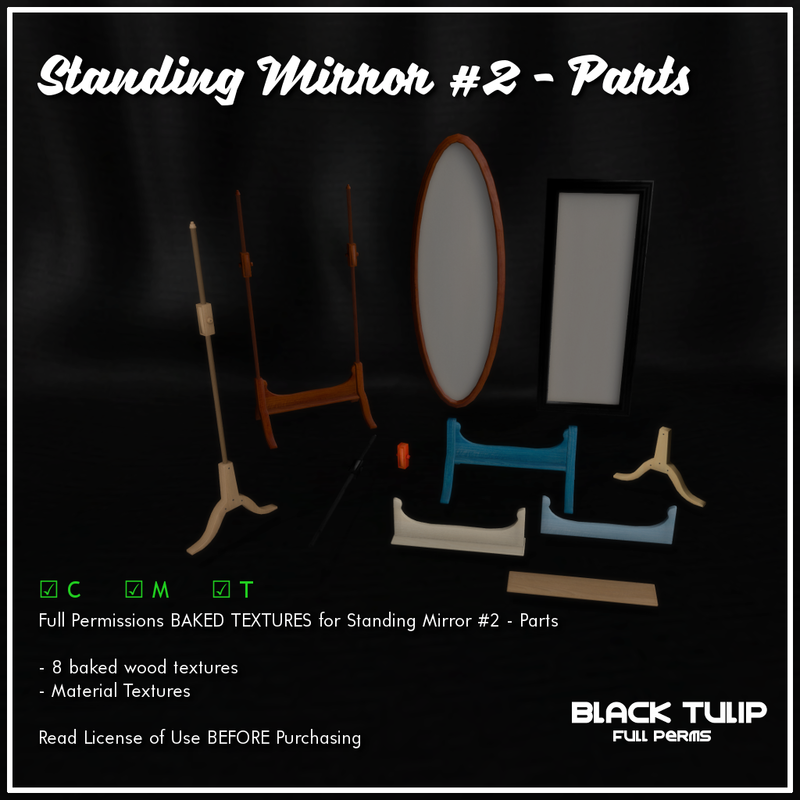 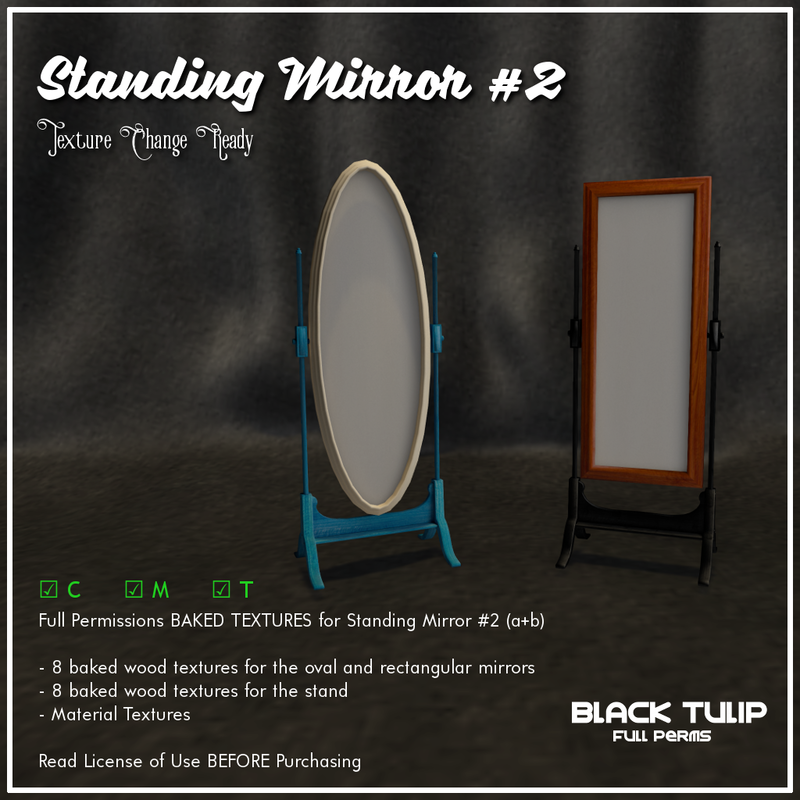 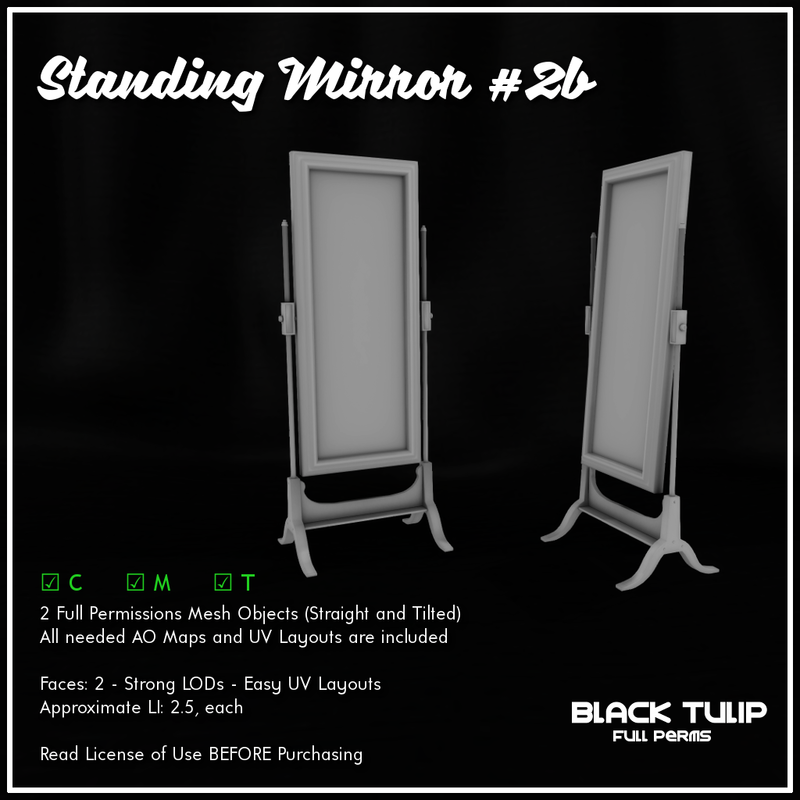 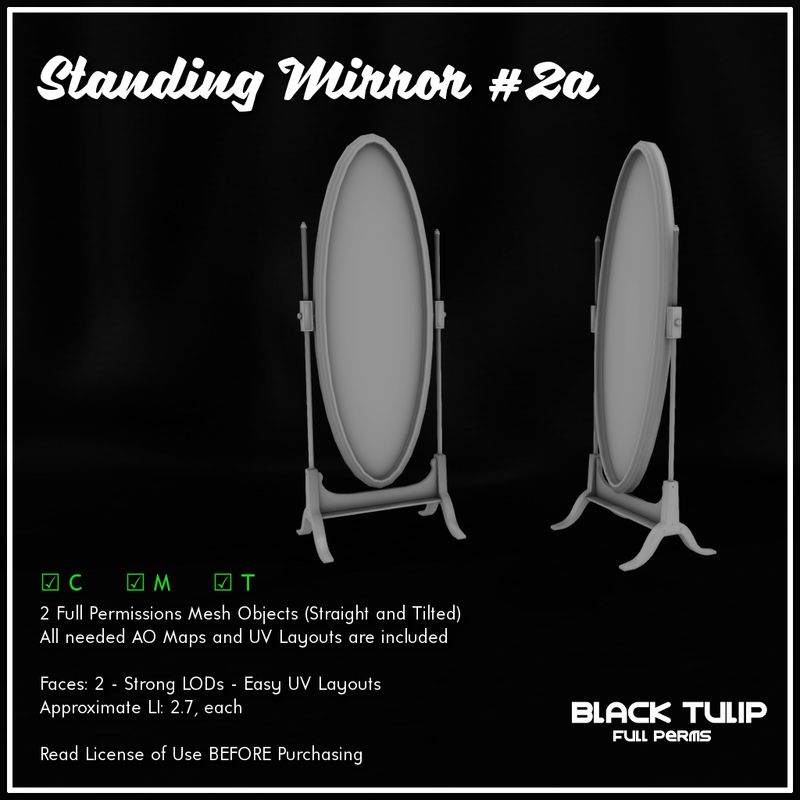 To begin with, the Standing Mirror #2a and b, which is also available as separate parts. There are texture packs for all of them. There's also a new group gift: the María is for Spring greenhouse. 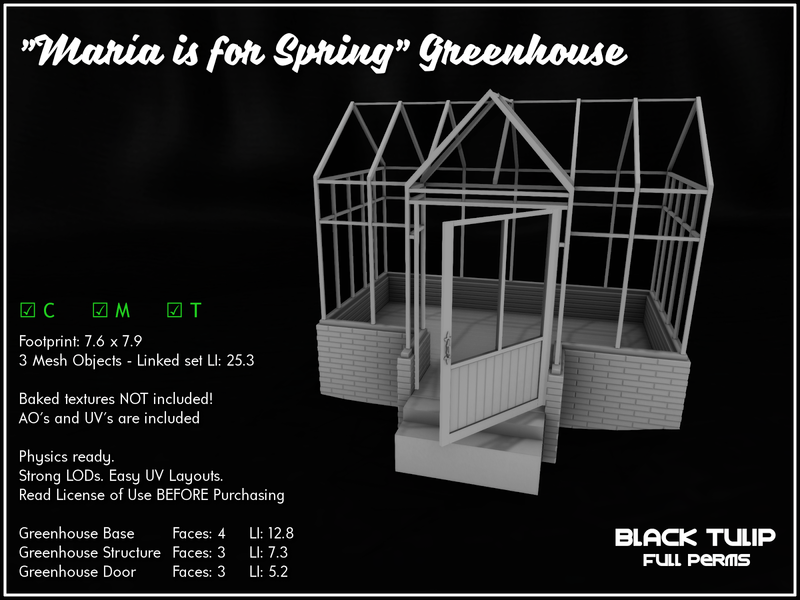 It's also for sale for non-group members, 50% off the first week. 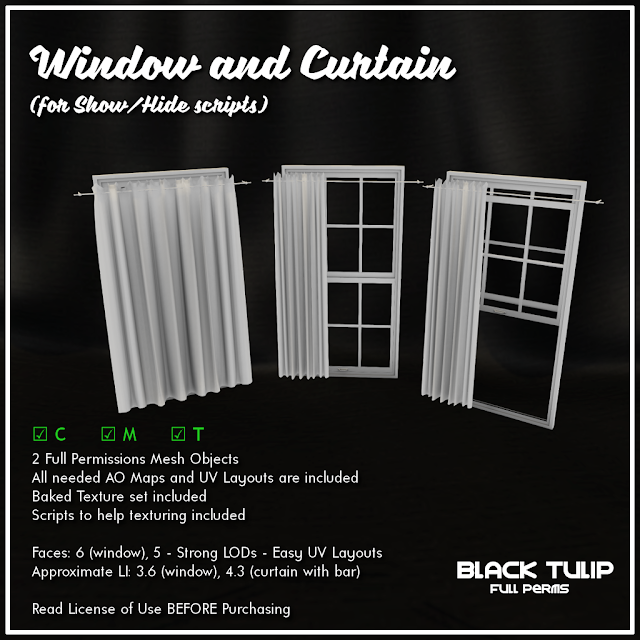 And lastly, we have a mesh item built to work with the new show/hide faces script, and a textures pack for one of our builds, the Mediterranea Patio. 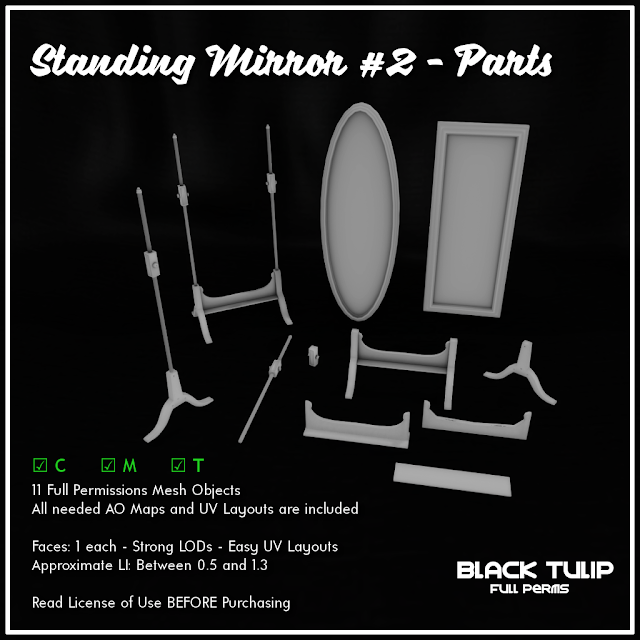 Everything is now set to promotional price, click here for your taxi.